Eggs are one of the few foods that should be classified as "superfoods." Eggs also contain various trace nutrients that are important for health. In fact, eggs are pretty much the perfect food. They contain a little bit of almost every nutrient you need. If you can get your hands on pastured or omega-3 enriched eggs, these are even better. They contain higher amounts of omega-3 fat and are much higher in vitamin A and E (2, 3). SUMMARY- Whole eggs are among the most nutritious foods on the planet, containing a little bit of almost every nutrient you need. Omega-3 enriched and/or pastured eggs are even healthier. It is true that eggs are high in cholesterol. In fact, a single egg contains 212 mg, which is over half of the recommended daily intake of 300 mg. However, it's important to keep in mind that cholesterol in the diet doesn't necessarily raise cholesterol in the blood (4, 5). The liver actually produces large amounts of cholesterol every single day. When you increase your intake of dietary cholesterol, your liver simply produces less cholesterol to even it out (6, 7). However, people with genetic disorders like familial hypercholesterolemia or a gene variant called ApoE4 may want to limit or avoid eggs. SUMMARY-Eggs are high in cholesterol, but eating eggs does not adversely affect cholesterol in the blood for the majority of people. HDL stands for high-density lipoprotein. It is often known as the "good" cholesterol (9). People who have higher levels of HDL usually have a lower risk of heart disease, stroke and other health problems (10, 11, 12, 13). Eating eggs is a great way to increase HDL. In one study, eating two eggs per day for six weeks increased HDL levels by 10% (14, 15, 16). SUMMARY-Eating eggs consistently leads to elevated levels of HDL (the "good") cholesterol, which is linked to a lower risk of many diseases. Choline is a nutrient that most people don't even know exists, yet it is an incredibly important substance and is often grouped with the B vitamins. Choline is used to build cell membranes and has a role in producing signaling molecules in the brain, along with various other functions (17). The symptoms of choline deficiency are serious, so fortunately it’s rare. SUMMARY-Eggs are among the best dietary sources of choline, a nutrient that is incredibly important but most people aren’t getting enough of. LDL cholesterol is generally known as the "bad" cholesterol. It is well known that having high levels of LDL is linked to an increased risk of heart disease (18, 19). But many people don't realize that LDL is divided into subtypes based on the size of the particles. There are small, dense LDL particles and large LDL particles. Many studies have shown that people who have predominantly small, dense LDL particles have a higher risk of heart disease than people who have mostly large LDL particles (20, 21, 22). Even if eggs tend to mildly raise LDL cholesterol in some people, studies show that the particles change from small, dense to large LDL, which is an improvement (23, 24). SUMMARY-Egg consumption appears to change the pattern of LDL particles from small, dense LDL (bad) to large LDL, which is linked to a reduced heart disease risk. Two of these are called lutein and zeaxanthin. They are powerful antioxidants that accumulate in the retina of the eye (25, 26). Studies show that consuming adequate amounts of these nutrients can significantly reduce the risk of cataracts and macular degeneration, two very common eye disorders (27, 28, 29). Egg yolks contain large amounts of both lutein and zeaxanthin. In one controlled study, eating just 1.3 egg yolks per day for 4.5 weeks increased blood levels of lutein by 28–50% and zeaxanthin by 114–142% (30). Eggs are also high in vitamin A, which deserves another mention here. Vitamin A deficiency is the most common cause of blindness in the world (31). SUMMARY-The antioxidants lutein and zeaxanthin are very important for eye health and can help prevent macular degeneration and cataracts. Eggs are high in both of them. Not all eggs are created equal. Their nutrient composition varies depending on how the hens were fed and raised. Eggs from hens that were raised on pasture and/or fed omega-3 enriched feeds tend to be much higher in omega-3 fatty acids. Omega-3 fatty acids are known to reduce blood levels of triglycerides, a well known risk factor for heart disease (32, 33). Studies show that consuming omega-3 enriched eggs is a very effective way to lower blood triglycerides. In one study, eating just five omega-3 enriched eggs per week for three weeks reduced triglycerides by 16–18% (34, 35). SUMMARY-Omega-3 enriched and pastured eggs may contain significant amounts of omega-3 fatty acids. Eating these types of eggs is an effective way to reduce blood triglycerides. They're used to make all sorts of tissues and molecules that serve both structural and functional purposes. Eggs are an excellent source of protein, with a single large egg containing six grams of it. Eggs also contain all the essential amino acids in the right ratios, so your body is well-equipped to make full use of the protein in them. Eating enough protein can help with weight loss, increase muscle mass, lower blood pressure and optimize bone health, to name a few (36, 37, 38, 39). 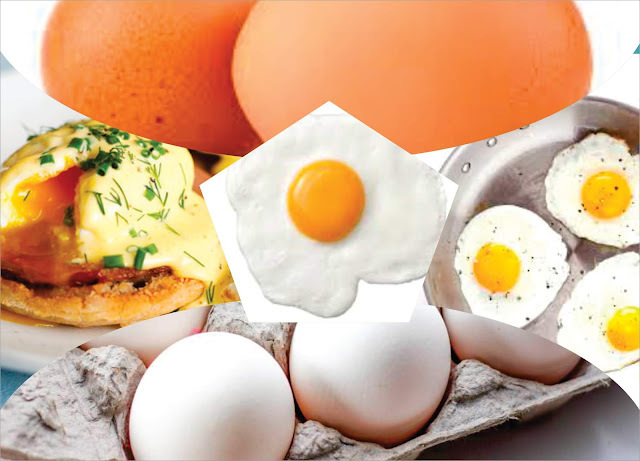 SUMMARY-Eggs are fairly high in quality animal protein and contain all the essential amino acids that humans need. It has been claimed that because of the cholesterol in them, they must be bad for the heart. Many studies published in recent years have examined the relationship between eating eggs and the risk of heart disease. One review of 17 studies with a total of 263,938 participants found no association between egg intake and heart disease or stroke (40). Many other studies have arrived at the same conclusion (41, 42). However, some studies have found that people with diabetes who eat eggs have an increased risk of heart disease (43). Whether the eggs are actually causing the increased risk isn't known, because these types of studies can only show statistical association. They cannot prove that eggs caused anything. It is possible that people who eat lots of eggs and have diabetes are less health-conscious, on average. On a low-carb diet, which is by far the best diet for people with diabetes, eating eggs leads to improvements in risk factors for heart disease (44, 45). SUMMARY-Many studies have looked at egg intake and the risk of heart disease and found no association. However, some studies have found an increased risk in people with type 2 diabetes. Eggs are incredibly filling. They are a high-protein food, and protein is, by far, the most satiating macronutrient (46). Eggs score high on a scale called the satiety index, which measures the ability of foods to cause feelings of fullness and reduce later calorie intake (47). In one study of 30 overweight women, eating eggs instead of bagels for breakfast increased feelings of fullness and made them automatically eat fewer calories for the next 36 hours (48). In another study, replacing a bagel breakfast with an egg breakfast caused significant weight loss over a period of eight weeks (49). Studies clearly show that eating up to three whole eggs per day is perfectly safe. There is no evidence that going beyond that is harmful — it is just "uncharted territory," as it hasn't been studied. Eggs are pretty much nature's perfect food. On top of everything else, they are also cheap, easy to prepare, go with almost any food and taste awesome. Execute Any Infection In Your Body! THE GUAVA LEAVES CAN STOP HAIR LOSS BY 100% AND MAKE IT GROW AGAIN! 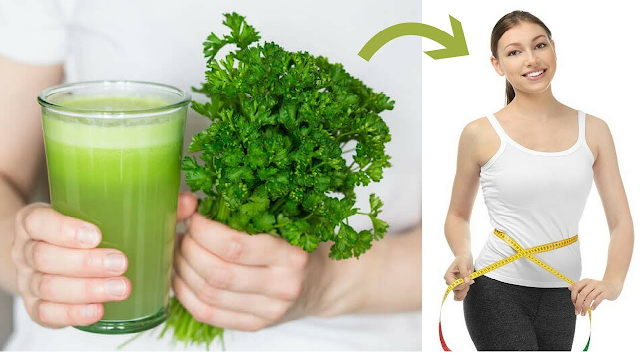 Mystery Recipe For Weight Loss For Two Days 5kg Less!!! Blog rights reserved.. Powered by Blogger.